Take Century Drive from Bend heading toward Mt. Bachelor ski area. Go passed Mt. Bachelor turn off and continue on Cascade Lakes Highway until the turnoff to Sparks Lake. The road to Sparks Lake is closed in the winter at Mt. Bachelor ski area. One of the most photographed lakes in all of Oregon, Sparks Lake is located in the Cascade Range near the city of Bend. 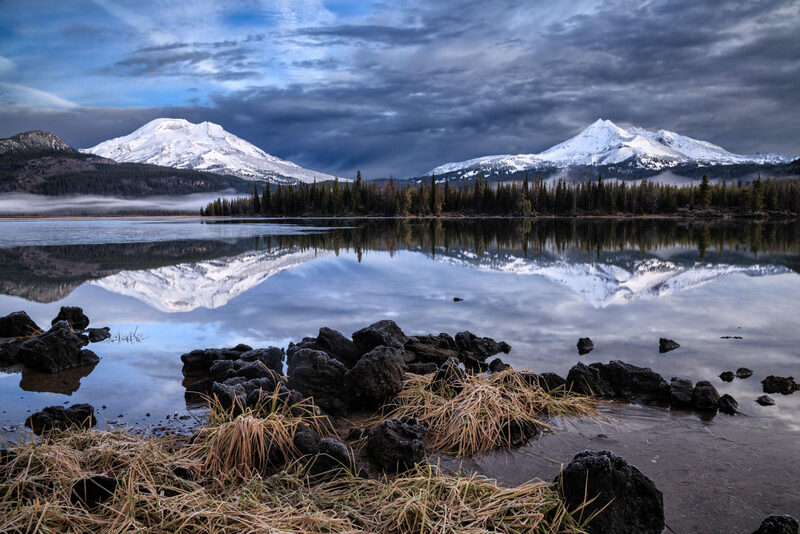 This image was taken the morning after the first snowfall dusted the mountain peaks visible from the alpine lake. That is South Sister on the left and Broken Top on the right.